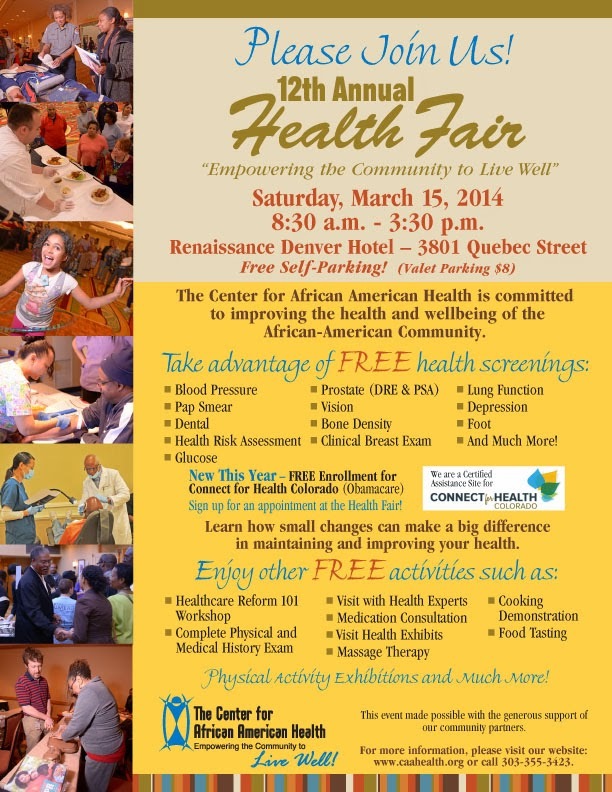 The Center for African American Health will be hosting its 12th Annual Health Fair on Saturday, March 15, from 8:30am-3:30pm at the Renaissance Denver Hotel. The event is free of charge and will feature exhibits and workshops on a variety of health topics, in addition to numerous free health screenings. To learn more, visit http://www.caahealth.org/.